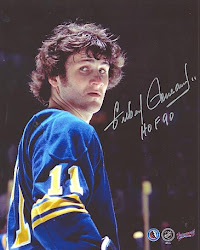 It was a helluva way to end the month of March for the Buffalo Sabres. 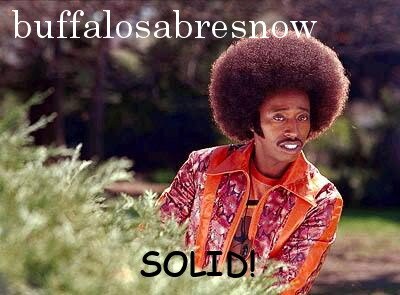 Although seven goals and four powerplay goals in one game at this time of year doesn't move the needle too much, the Sabres can take heart in knowing that they defeated the Nashville Predators,the best team in the league, on the road by a 7-4 score and showed a little resiliency in the process. The Sabres powerplay was nothing short of fantastic last night as they scored on four of nine powerplays which moved their season percentage up almost a full point. Buffalo went into the game scoring on 40 of 232 powerplay opportunities (17.2%) and left with 44 PPG on 241 opportunities (18.3%.) Buffalo scored three powerplay goals last night during a five minute major penalty handed out to the Preds Scotty Hartnell for boarding Victor Antipin, who left the ice on a stretcher, and they went from a 4-3 deficit to a 6-4 lead. Buffalo had the No. 1 powerplay unit last season but got off to a rough start in 2017-18. And they compounded their ineptitude by allowing a league high (tied with the NY Islanders) six shorthanded goals. Scoring goals has been a serious problem for the Sabres dating back years and this season is no different as they remain dead last in the league averaging 2.38 goals/game. Buffalo has not finished higher that 24th in goals-for the past four years and they're certainly not going to match that this season. If you're not scoring goals, you better be preventing them and the Sabres haven't done well at that either. Buffalo's team goals-against averaged is 3.31 ranking them 29th in the league. Put it all together and Buffalo is a 31st place team with a 25-41-12 record (62 points) and a league worst minus-73 goal differential. There are only four more games left in the season and the Sabres are well on their way to a last place finish for the third time in five seasons. On the bright side of that equation, Buffalo has been stocking their roster with high draft picks and they'll have at least a top-four pick at this year's draft should they finish in last place.